This is a great run easily accessible from the highway and only 7 miles south of SFO. There are jaunts out to a beach, a promenade through a lovely green park, and a quick hike up a hill with redwood trees and good views. Run Coyote Point standalone or as a detour off the Bay Trail headed in either direction. Our “short option” leaves the Bay Trail and includes 3 miles of trails within Coyote Point Park. 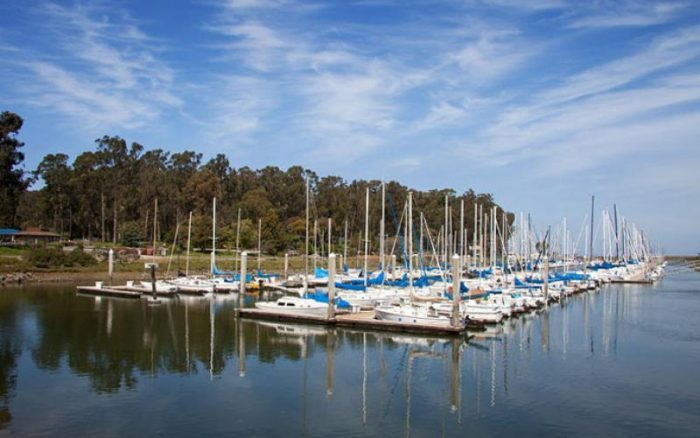 For a great longer option, run 1.5 miles south along the Bay Trail to Seal Point.